Everybody has radio controlled planes, cars, boats and even helicopters. 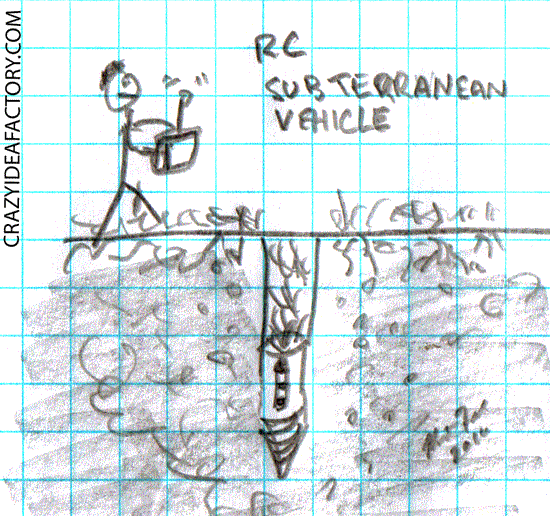 But I don’t know anybody with a radio controlled subterranean vehicle. If you try to build your own subterranean digger you should call you local utilities to make sure all underground lines are marked just to make sure you don’t cause unnecessary damage to your digger.